Imogen started playing the cornet at nine. 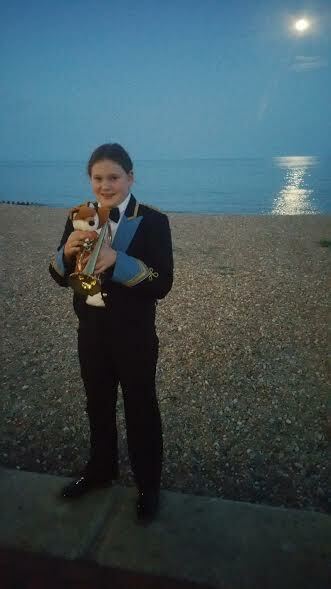 She passed her Grade 3 in summer 2016 and also plays in her school youth band in Horsham. From a Yorkshire brass band family (featuring four more cornet players plus a horn and euphonium!) her Dad says she found the “choice” of cornet an easy one! Her musical ambitions include; playing on the beach in the moonlight (tick)… and becoming half as good a player as Alison Balsom (work in progress).